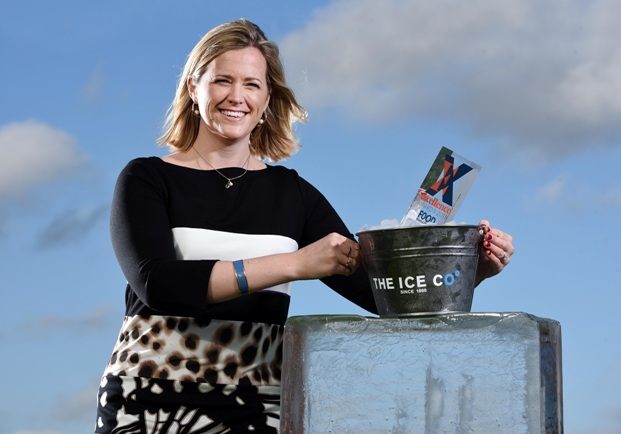 Yorkshire-based The Ice Co, Europe’s leading manufacturer of ice products and the UK’s number one ice brand are celebrating a record-breaking sales year, driven by one of the hottest summers on record. The Pontefract business saw a sales growth of 24 per cent, with sales of The Ice Co’s most premium product, Super Cubes, growing at a rate of 120 per cent. The company has also been putting the champagne on ice, since being named Frozen Food Manufacturer of the Year, at the national Food Manufacture Excellence Awards in November, beating off the competition to scoop the accolade at the ceremony in London. The Ice Co has invested £4.5m since 2017 to increase its manufacturing capacity at its Pontefract head office by 30 per cent. Furthermore, the company has undertaken a rebrand as well as launch a new product, Premium Ice in line with the investment. First established in 1860, The Ice Co remains a privately-owned family business, with Polly Metcalfe now at its helm as managing director. Polly said: “Without a doubt, 2018 has been one of most challenging and exciting years to date, with our busiest summer on record and unprecedented sales growth. This award highlights the great effort the whole team has put in to making it such a successful year. There is a huge amount of competition and major brands within the frozen food category, so we feel honoured to have been recognised with this award. In 2007, Polly graduated from university with a BA and instantly started work for the family business at their brand-new site in New Covent Garden, London, managing the day to day running’s. The company went from strength to strength over the next ten years then in 2010, her father decided to take a step back from the business, so his children, Polly, Belle and Philip could take over. Belle now runs Blue Keld Springs, a bottled mineral water site, Philip is J Marr Group managing director and Polly is managing director for The Ice Co. The Ice Co are experts in ice – but their products have not always been manufactured in the UK. Originally, ice was needed to keep fish cold so ice was imported from the glaciers in Norway to the fishing docks in Hull and sold to fisherman and fish merchants. The Ice Co’s top performing product, Party Ice, celebrated its 30th birthday this year and its most premium product Super Cubes received the SIAL Innovation Award in 2016. Other previous awards for The Ice Co include The Grocer Gold award for Export in 2014.